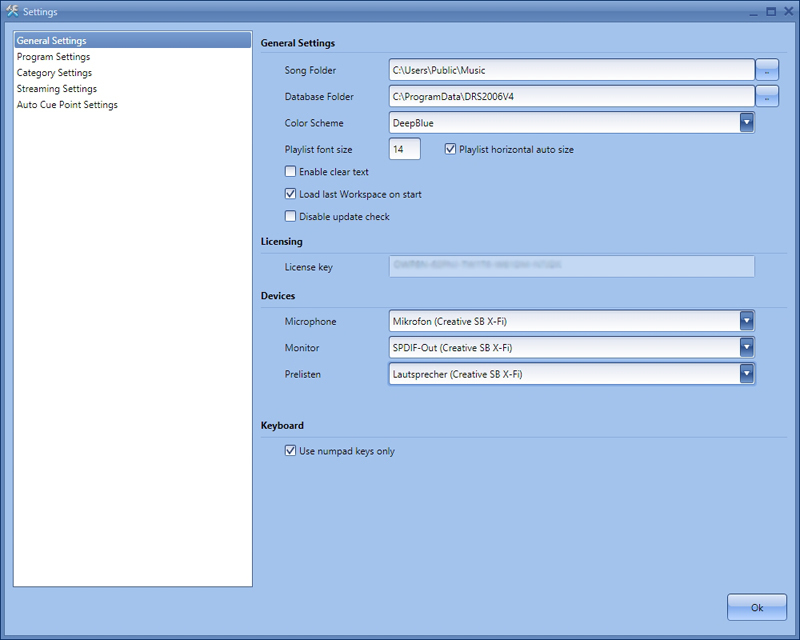 We are continuously developing new plugins for our DRS 2006 radio automation software which were requested by our clients. Customize your DRS 2006 and choose the features you need. We not only have the software you need! We also have the streaming technology to get your radio station online. Visit our DRS 2006 Radio Streamer website and start streaming today. 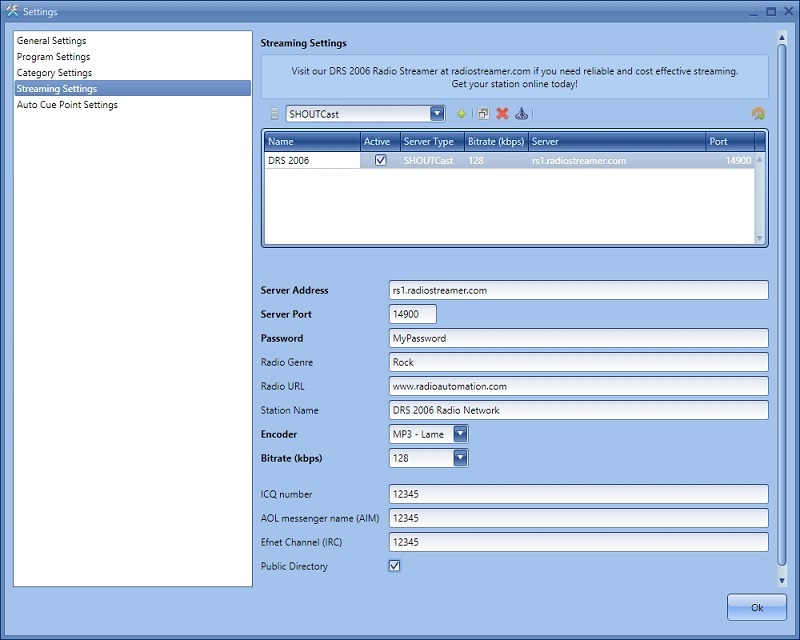 DRS 2006 was developed by radio people for radio people and became generally accepted world-wide in the less than 3 years as leading the way in radio automation software world-wide. Each year approx 2.000 more radio stations join the revolution and take part in the constant improvement and optimization of the system with great enthusiasm. DRS 2006 is a huge global project encompassing many radio professionals and programmers throughout the world co-operating to one goal. Therefore take a look into our Interactive Development Forum in order to get an impression of this project. 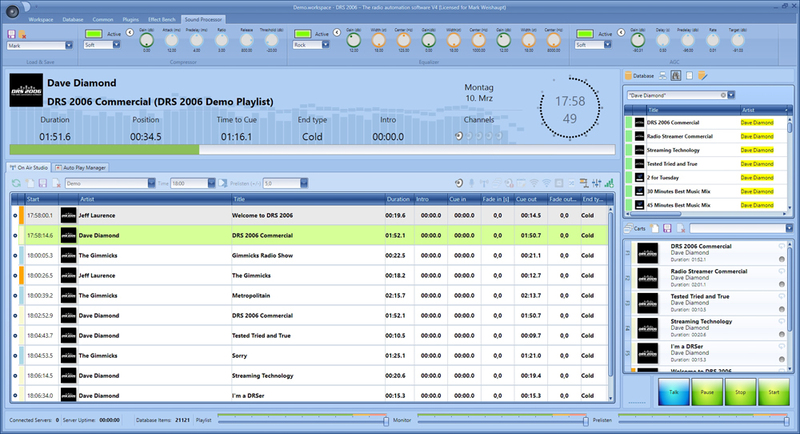 Click on the thumbnails below to see more screen shots of the DRS 2006 radio automation software V4. Fully customizable by using our cutting edge plugin technology. You can add the features you want. Because the DRS 2006 radio automation software is so economical and has only a few system requirements, it has not only "taken the world by force" in the radio industry, but is also accepted by nightclubs, restaurants, bars, and supermarkets, as the leader in innovation. 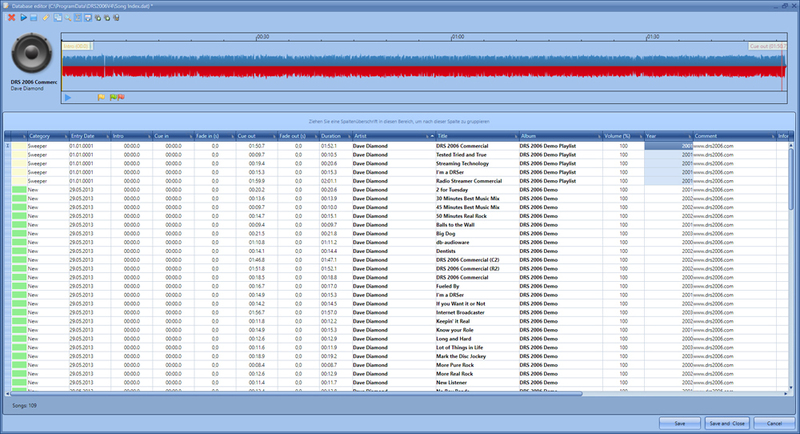 The DRS 2006 software products are used in many of the worlds largest radio stations. Even smaller local radio stations, community radio, and university radio outfits, throughout the globe, choose DRS 2006 as their number one for radio automation. Additionally, the webcaster, makes full use of our software, to entertain the mass audience, streaming live across the internet, 24 hours a day, 7 days a week. All you need is a PC, and a passion to entertain with the music you love. DRS 2006 is designed to be simple as possible, to maximize its output, yet powerful enough to meet the needs of the big corporation. With ground breaking technologies built into the heart to the system, there are no limits to the possibilities for creativity. As a result, the education sector very strongly recommends DRS 2006. Numerous magazines, TV shows, and clients around the world are celebrating our software as the new truly affordable radio automation software for anyone who enjoys music. Quite simply, this is pure power. 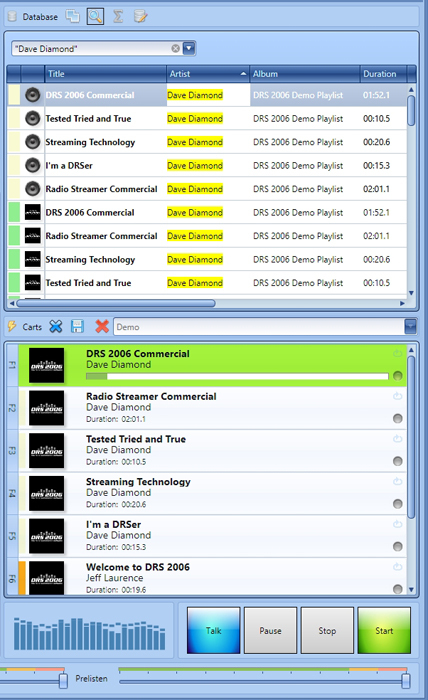 If you haven't downloaded the DRS 2006 radio automation demo, do it now, and get ready for pure enjoyment.